Its been a few days now since Robot released Echo Prime on Steam. Following its release back in October last year it is great to see Echo Prime arrive on PC as this allows more people to play the game who previously would not have been able to if they did not have an iOS device. 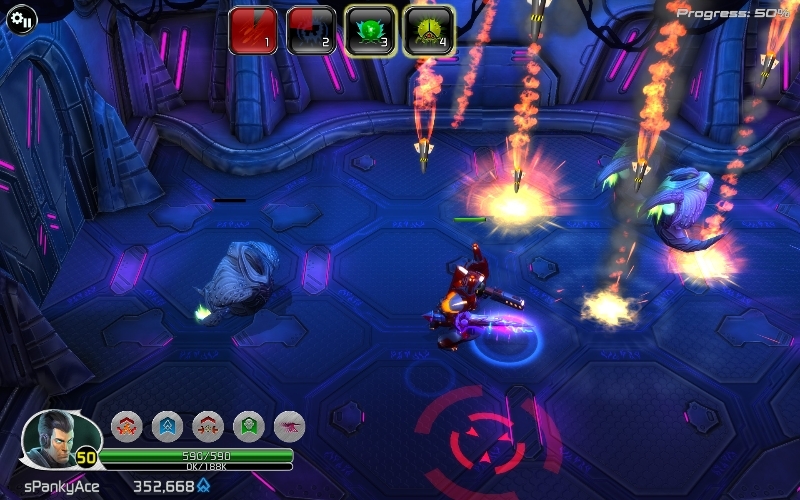 On PC Robot brings us an expanded version of the game with even more levels and enemies. So lets take a look at what the bots bring to the table with Echo Prime. Echo Prime is quite simply a blast to play. It reminds me alot of classic arcade game action. 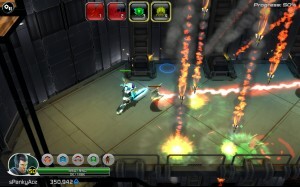 Players take control of an Enforcer, a character who protects the universe from the various nasties such as dangerous alien creatures, space pirates, and killer mercenaries. Being an action RPG there are alot of traditional RPG elements here. 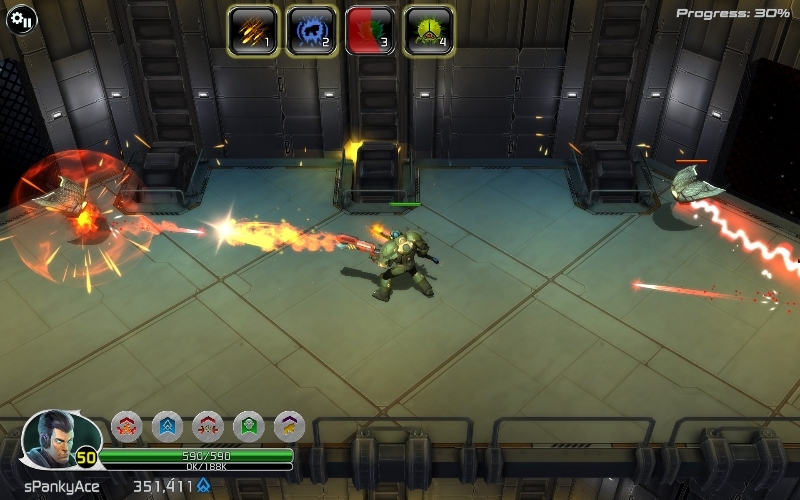 Players can attack with either their melee weapon such as a sword but also with a ranged weapon. 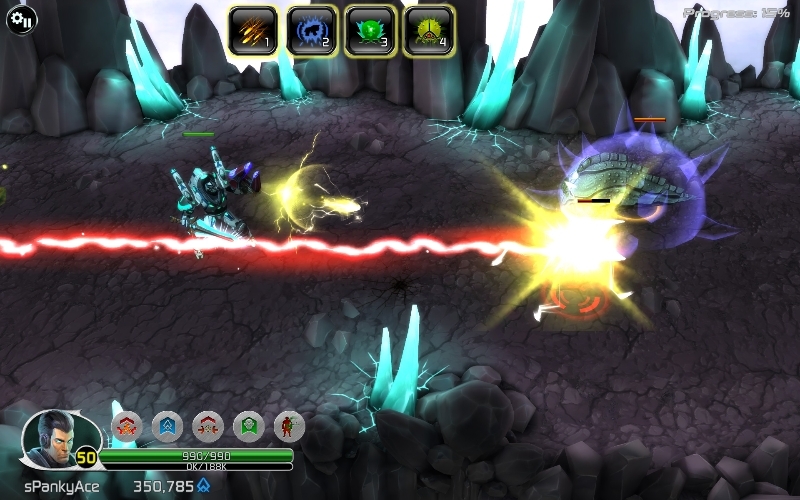 On the defensive side players have the option of blocking enemy attacks and a well timed block can reflect enemies shots right back at them. It can be great fun and rewarding to practice the shield blocking technique. 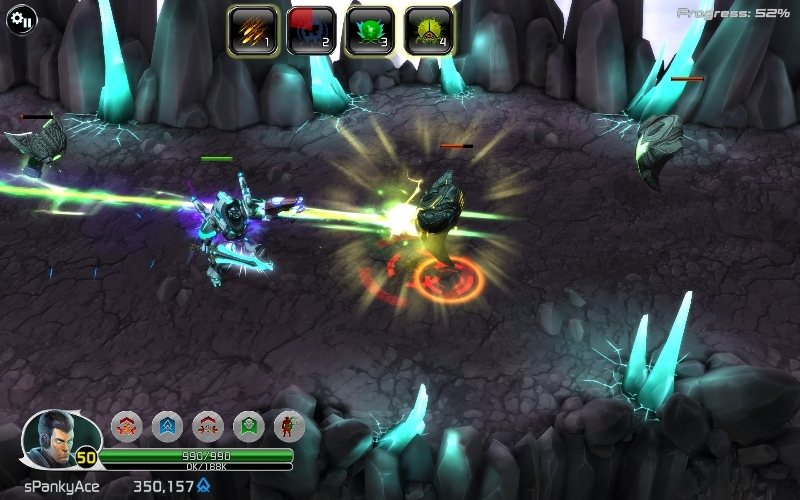 Aside from blocking players can avoid damage by dodging out of the way. 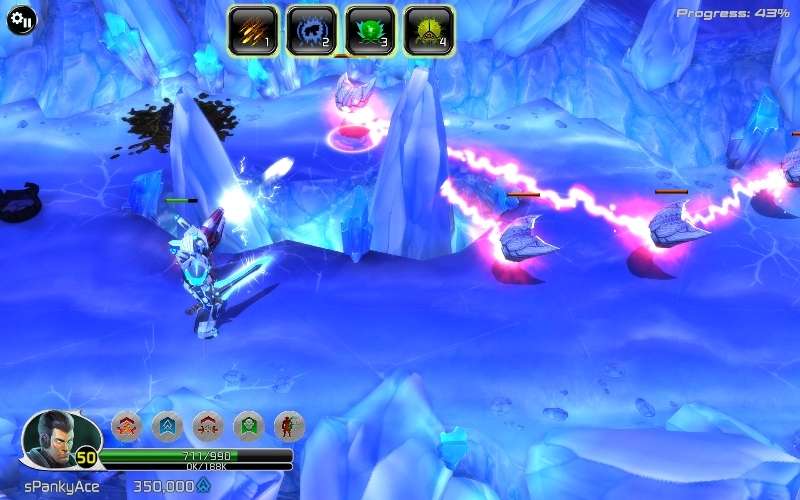 Players can make use of either keyboard and mouse controls or use a gamepad such as the Xbox Controller. Personally, I preferred to play the game with the controller and felt it gave a better overall experience particularly with precision around the dodging mechanic. Playing with the mouse can be a little tricky as sometimes you may encounter un-expected dodging. With the gamepad everything in game works like a dream. The only small niggle with gamepads is that some of the in-game menus do not lend themself to ease of use with the gamepad. Considering this is a port from the iOS game the port has been well executed in the most part with just some minor issues with the menu screens. Progressing through Echo Prime is all about collecting echoes and upgrading your weapons and armour. So what are these Echoes I hear you ask? Echoes are the friendly aliens from other parts of the universe. 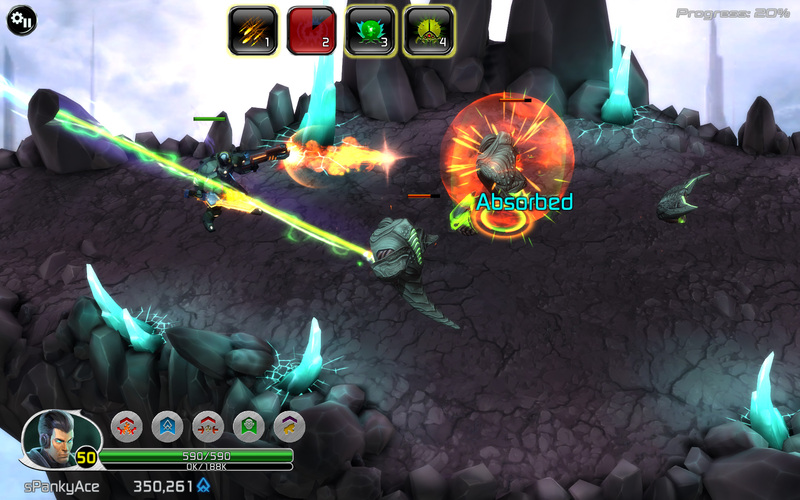 Once collected players can equip them to make use of their awesome bonuses. Both active and passive types of bonuses are available. Passive echoes have their bonuses permanently activated such as say “30% defence increase”. Active echoes allow their bonuses to be called on manually by pressing on the echo icon during game. Examples of active echoes are things like the “Searing Strike” which when activated a blast of fire inflicts damage on multiple enemies. There are also some epic boss battles that spice things up as well. 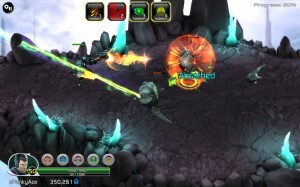 Echo Prime entertains with a varied set of levels and things to accomplish. The level design on Echo Prime is nice and varied as players play through the game. 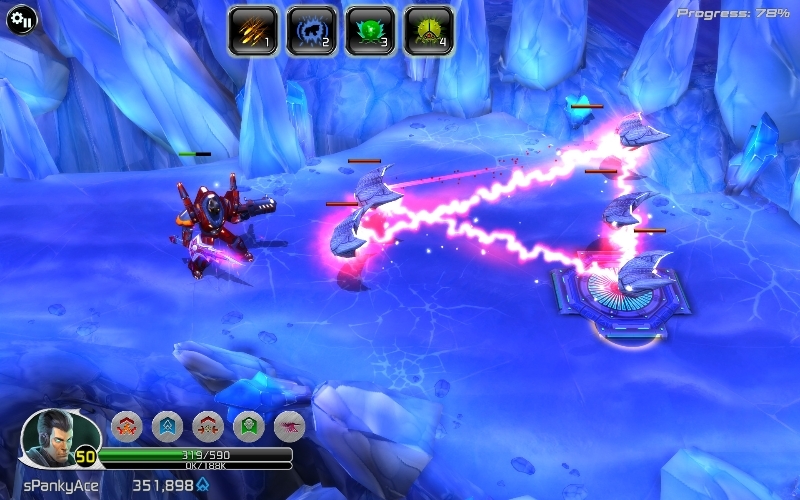 At first players spend their time on-board various ships clearing out enemies but soon players find themselves in various locations across the universe such as ice caverns and mining planets. With random level generation each time players play a level the experience is always different. 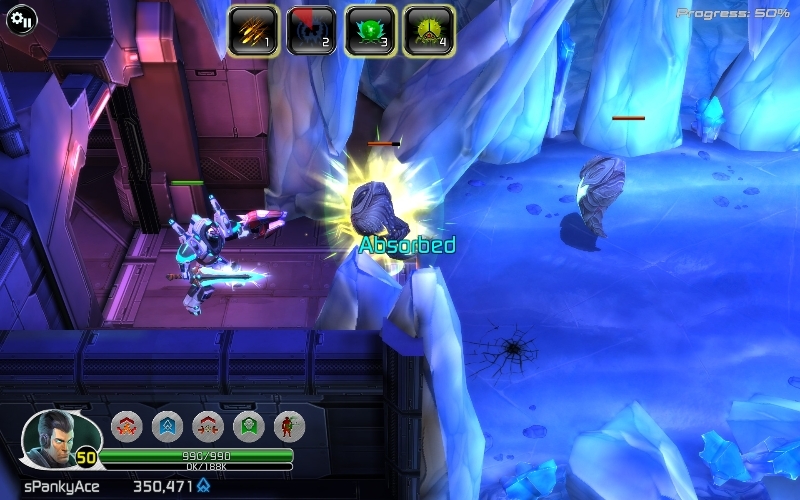 Although the the level is graphically the same the amount and position of enemies varies, as does the position and availability of dropped items. Not only that players can choose different echoes at the beginning of levels allowing players to experiment with various combinations to tackle some of the more tricky levels. On the graphics front, having originated from iOS Echo Prime on Steam does seem to have improved graphics and it certainly looks great on the PC. The graphics are not hugely detailed and are largely kept quite simple. On the plus side this means the game runs very well on a wide array of computers with its low system requirements. 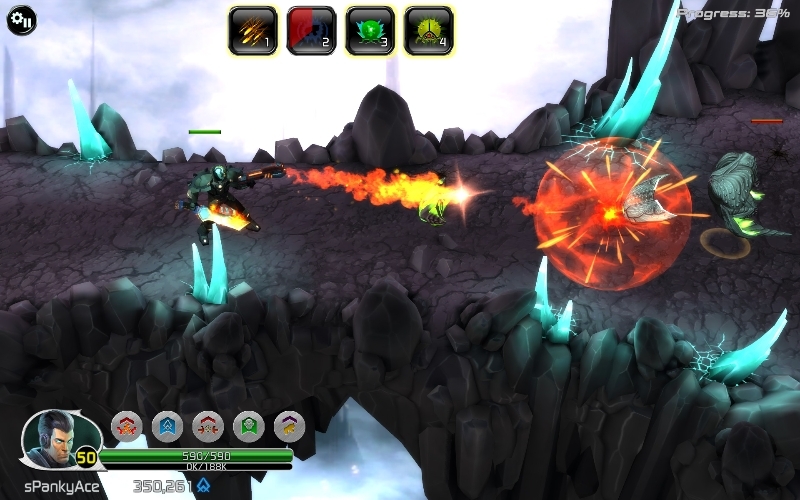 Echo Prime is visually pleasant with a good, friendly mix of colour palette which adds to the overall enjoyment. Enemies are well designed and with good variation. Including some funky acid dropping floating jelly fish like aliens! Kudos to Robot’s art department for coming up with some really cool enemy and level designs. Although you might not have thought so being an iOS port, Echo Prime, even in the iOS version has some very good sound and music. The music is a typical flashback to arcade game music and it works very well and helps dictate the pace. Sound effects are plentiful and of good quality and are generally not annoying. Purchasing the game on Steam also nets players the 14 track soundtrack available in the Steam directory. Unfortunately there is no co-op play available with Echo Prime. It would certainly be very awesome if there was but that would of course take a lot of work on Robot’s part. The game does have leader boards where players can compare number of echoes collected with their friends. There are also some achievements to unlock as well. In-game players can view their friends echoes, players can also use their friends echoes in game to assist in trickier levels, particually helpful if your friend has some awesome veteran echoes in their collection. Otherwise random players echoes are also sometimes selectable. Players can “follow” peoples echo collections so that those echoes appear more often. Quite an interesting and unique feature. Echo Prime is another great game from the bots at Robot. The games migration to PC has been execute well, so well that I prefer to play it on PC than on the iPad. It can be easy to get worn out with the constant screen tapping! On PC, especially with a gamepad Echo Prime is more approachable than before. At its price point of $9.99 (20% right now) the game provides excellent value for money and a ton of gameplay. 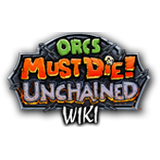 If you havnt been able to get ahold of Echo Prime on iOS or if you wanted to give it a go with more traditional PC / gamepad controls now is a great time to purchase Echo Prime and get 20% off (and Orcs Must Die! 2). Echo Prime gets the REF stamp of approval. Go forth and protect the universe!